As I mentioned in Sunday's column, I saw the movie World War Z last week. It's about how governments fail to take a problem seriously despite early warning signs until the problem is literally on top of them. That scenario seemed oddly familiar, but I wasn't sure why. It's not like Singapore has been overrun by zombies before. Anyway, on the Thursday I saw the movie, this was the front page of The Straits Times. The haze has been building up since June 14. 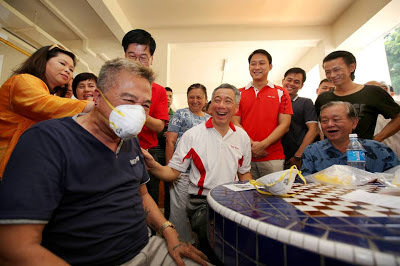 It was front page news on June 15 - the PSI had gone all the way up to 88! - but not the next day. 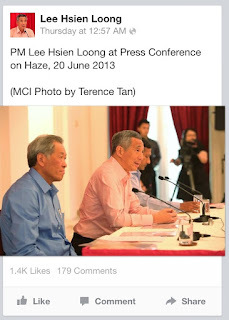 The haze was back on the front page on June 17 and hasn't left since. But it was only on June 20 (the day I saw World War Z) that the Prime Minister finally decided to take serious action. Up until then, the Government's reaction has been pretty much boilerplate: NEA health advisories, calling on Jakarta, etc. This is understandable since the haze has been a yearly event like the Great Singapore Sale since 1997 and no one expected the PSI to go over 400. 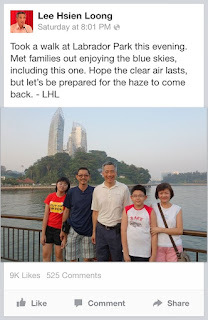 But after the PSI hit the then unprecedented 321 on the night when people were queuing for The Ugly Duckling Hello Kitty at McDonalds's, PM Lee Hsien Loong hastily announced the formation of the Haze Inter-Ministry Committee. And it took another day for the Government to address the scarcity of masks. On June 22, ministers had pictures taken of themselves distributing masks to the needy. The irony, of course, is that June 22 is also the day the PSI fell to below 100 for the first time in a week. And it has been mostly blue skies since. So it seems that the Government has missed the boat once again. But the thing about our Government is that like a dog with a bone, once it's committed to something, it won't let go. It's not going to let a little thing like blue skies get in the way. Yesterday, it was announced that ministries are to share their action plans to minimise disruptions due to the haze by this week. A case of closing the barn door after the horses have left the barn and returned? 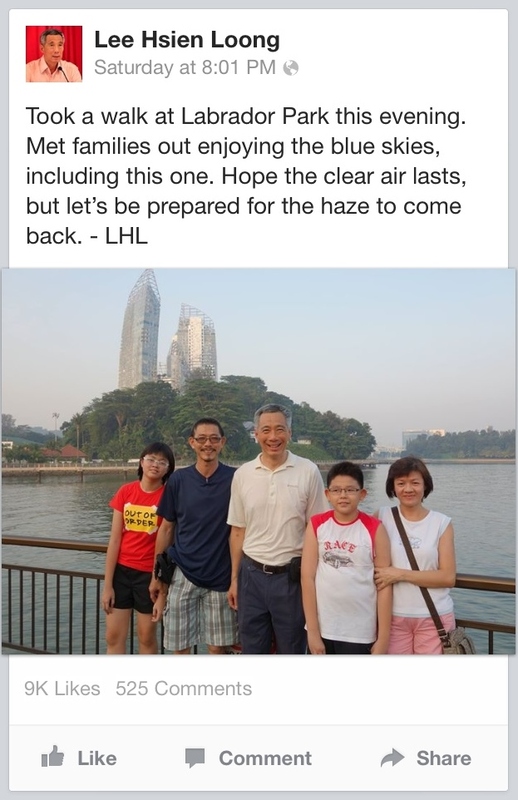 As PM Lee posted on his Facebook page: "Hope the clear air lasts, but let’s be prepared for the haze to come back." Words to live by for sure, but a little ironic coming from a Government that seemed to have been genuinely caught off-guard by The Great Haze of 2013, judging by the belated scrambling. When things are turning bad, the Government tells us not to overreact. When things get better, the Government tells us not to be complacent. It appears the Government sees itself as a moderating force, which I guess is not a bad thing. After the haze last week, it's now hailing in Singapore. Could zombies be next? I'm beginning to think it's really the end of the world. I certainly need some moderating. I bet Brad Pitt would know what to do. #tbt Singapore Internet regulation, 1996-style!